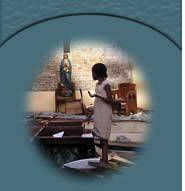 The Grenada St George's St.Joseph's Convent needs your help! The Sisters of St. Joseph of Cluny whose Mother House is in Paris is a Religious Order of women founded in 1779. As a missionary oriented organization, we are committed to the liberation and development of people. We serve in all of the continents of the world. In the Caribbean our main thrust is on Holistic education. We facilitate the formation of children at the Pre-primary, Primary, Secondary and Tertiary levels. 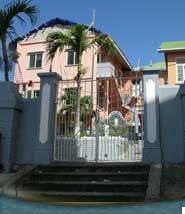 St. Joseph’s Convent, St. George’s, an all girls Catholic Secondary school has been in the forefront of education having established its foundation since 1875. It is to this institution that many outstanding Caribbean women obtained their education. It provides Education for girls ages 10+ to 18 of all religious denominations and all strata of society. Our present enrolment is seven hundred plus (700+) with a teaching, administrative and ancillary staff of fifty (50). Over the last decade our school underwent a massive expansion phase. Our student population increased to seven hundred plus (700+) with an increase in both the number of classrooms and subject offerings available to students including some of the technical vocational disciplines. While it is true that our institution continues to provide quality education and produce outstanding women serving in all areas of development, we are keenly aware of the demands made on the school to respond to societal needs and therefore the extent to which the quality contributions provided by donor organizations can impact in a positive way on the development of our children. Consequently, it is to an organization such as USAID that we feel confident in approaching for assistance especially in this our time of Crisis. As you are aware all six (6) buildings on our school compound suffered major damage as a result of the hurricane. Classes had to be immediately suspended to facilitate the removal of the massive amount of debris to assess the damage and to commence the cleaning of the plant, while at the same time trying to salvage from the ruins what was retrievable as well as identifying a location within the compound to relocate the senior students who are soon to write exams. With the use of tents and tarpaulins supplied by UNICEF & USAID through the Ministry of Education and the yeoman service rendered by the Venezuelan Government working alongside administrative, teaching and ancillary staff and a representative group of parents we have been able to organize full day classes for our senior students, while our juniors and middle classes are on a three (3) and four (4) day rotation schedule. Even so, in order to facilitate that process, we have so far spent well over 40,000.00 E.C. dollars. which we have not included in the damage assessment report. It is estimated that the damage assessment on building contents, plumbing, electrical and security systems will also be in excess of $1 million E.C.dollars. In short. the total estimate to be spent on rebuilding, repair and refurbishment is in the region of 2.5 million E.C. dollars. Though the situation as it stands is far from ideal, our major objective is to have our buildings completed for the new academic year. It has also become necessary at this time to consider relocating and upgrading the facilities for Science and Technical and Vocational education for which we are hopeful that Government will render assistance and support. The tremendous, awesome and challenging task before us is to manage and conduct the affairs of school while having to engage in the demolition, rebuilding, repair and refurbishing programme.However,we are not daunted by the magnitude of the task ahead. The need to continue educating our youth is paramount.